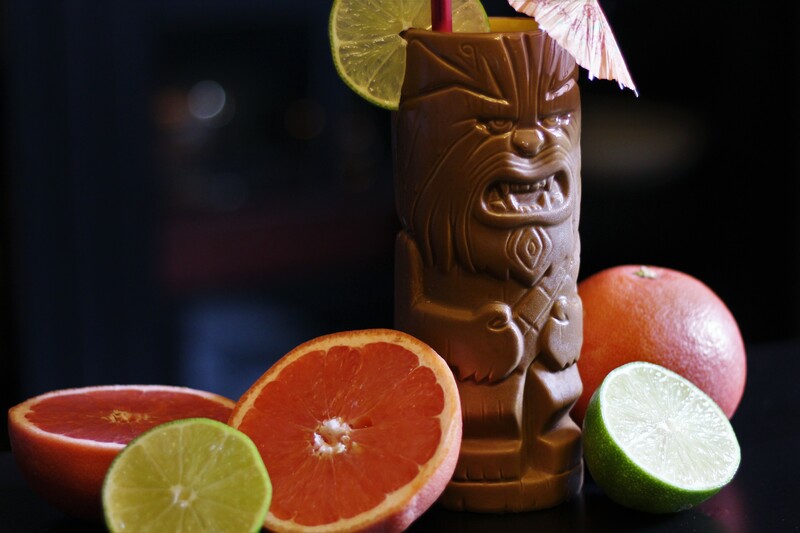 Appearing in episode 10, the Starship Juice is a delicious, fruity tiki drink that packs a punch. 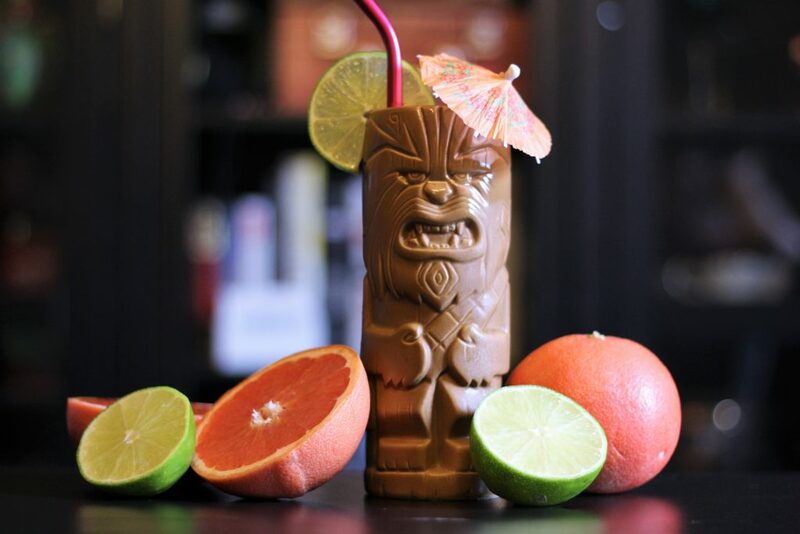 This tropical themed drink has three types of rum, lime and grapefruit juice, pimento dram, and a honey syrup. The pimento (or allspice) dram can be a little difficult to find, but any larger liquor store should carry it. It adds a wonderful hint of spice that would be hard to replace. We got our Star Wars tiki glasses from ThinkGeek, if you were wondering. Combine in a shaker with ice and shake well. 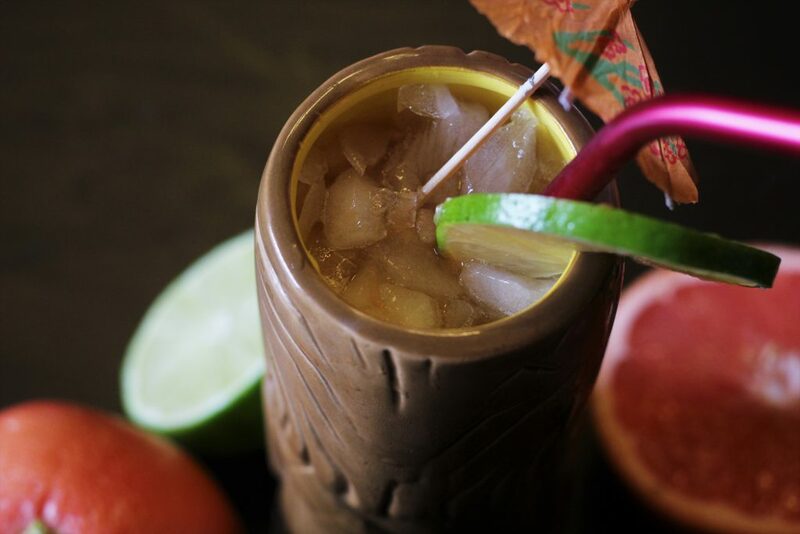 Strain into a rocks glass or tiki glass with crushed ice. Add water and honey to a saucepan over medium heat. Stir until the honey has fully dissolved. Remove from the heat and let cool completely.